The “Festival” Band (Festival is pronounced in Spanish) is a musical group based out of Tucson, Arizona that originated in 1981. However, in 2002 the original band broke up and in June 2009 one of the original band members, Danny Sanchez, re-established the band with other local musicians. Danny’s love for music and his keyboards could not stay away from the entertaining business much longer. He then contacted his brother, another original band member, and talented drummer, Eddie Sanchez, to help re-establish the band. Knowing the band would need an artistic saxophone player; Danny and Eddie contacted their high school friend, Rick Hernandez, who had taken a 25 year break from playing music, but in no time proved he could still play the saxophone. Danny, Eddie and Rick had been performing together since 2009, but have had a few band member changes (past members are listed below). In November 2012, Robert Grijalva made his return and came on board officially as the Lead Singer. Because of Robert's diverse and unique voice the band has added a variety of music to their song list, which includes both old school and newer Funk and R&B music. After three unforgettable years, Robert Grijalva left the group in January 2016 to pursue a career in Texas. However, the Festival Band quickly picked up Abelino Sanchez as lead vocalist, but after two amazing years, Abelino left the group in January 2018. In mid 2018, we were pleased to announce Christopher Trujillo, who will add a different sound to the band with his accordion. Chris committed to Festival in March 2018 and will also play Trumpet and Keyboards. After we received news from our bass player, Mark Brugler, of his retirement from playing bass due to health issues, we asked Danny Corral to join the group and accepted in May 2018; Danny will bring his experience to the group as our Bass Player. We had a few challenges with replacing the drummer position, after a lifetime of playing drums, our Co-Founder and drummer, Eddie Sanchez, announced he would retire from the music industry... but finally Carlos Olivas committed to the group as our drummer. Carlos comes to us with lots of experience and is a very talented musician. We announced the return of Robert Grijalva as our Lead Singer once again. When Robert talked about returning to Tucson in June 2018, it was a given to ask him to join the group and he accepted in a heartbeat. Lastly, after the Val West had to leave the band in December 2018 due to the demand of his business, we have the pleasure of having RD Ogas on guitar. RD is no stranger to FESTIVAL, he was once our bass player and we are glad to have him back! Despite the changes with the band members over the years, Festival's music continues to excel and the band continues learning new cover songs without skipping a beat! 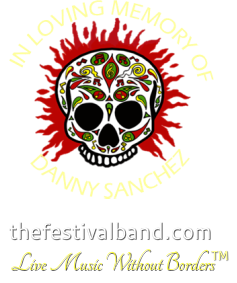 It is with great sadness to say that in April 2016, our brother and founder, Danny Sanchez, passed away, but we will continue his legacy. And most recently, Eddie Sanchez retired his drums, and blessed us with continuing as The Festival Band. We'd like to give a heart felt thank you to John Sanchez (no relation to Danny) for his help on keyboards from April through September 2016. 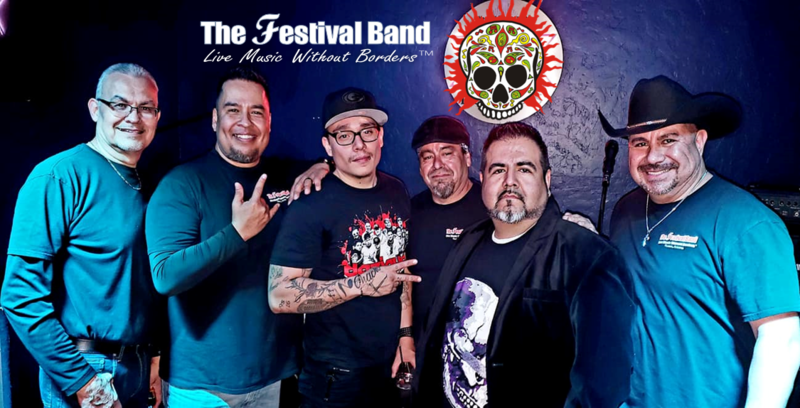 Besides several local charity events, weddings and quinceañeras, The Festival Band has entertained at venues in Tucson such as Casino Del Sol Paradiso Bar & Lounge, Eclipse Bar & Lounge, F.O.E. Eagles, Las Cazuelitas Event Center, Little Mexico Steakhouse, Boondocks Lounge, M&L’s Airport Inn, The Rock, Wildcat House, and the historic El Casino Ballroom. Festival has had the pleasure of having Rudy Palacios, David Marez, Adalberto Gallegos and Al Muñiz sing with band at some of these venues. Additionally, Festival has opened Tejano concerts for legends such as David Marez, Ram Herrera, Jesse Serrata, The Latin Breed, Grupo Stampede, Rudy Palacios, Roger Velasquez, Grupo Maldad, Rick Balderrama and Henry Rivas. Most recently, Festival had the honor of backing up the energetic Art Tigerina in July 2015. Thanks to Perez Promotions, Skyline Promotions and Se Salen Promotions for the opportunities. San Antonio Fan Fair: Festival's First Trip to the Tejano Fan Fair in San Antonio, Texas in March 2011. Festival was also the guest of honor at the Hot Tin Roof and special performers included, David Marez, Rudy Palacios, Jorge Alejandro, Henry Silvas, and Tony Faas, who were backed up by an All-Star Band headed by Markie Hernandez. This event was made possible by Perez Promotions. Tejano Music National Convention: We were so honored to have been selected to perform at the Las Vegas Tejano Music National Convention's Gran Baile with some of the greatest Tejano Music artists like Jay Perez and David Lee Garza on August 6, 2016! We thank the team at the Tejano Music National Convention who selected The Festival Band out of the many talented groups from all over the nation. The Festival Band has spent the past years enhancing a number of cover songs and adding in their unique sound in order to continue entertaining their diverse fans in their hometown of Tucson, Arizona. Festival composed three original songs in August 2016.